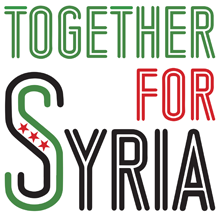 We invite candidates to consider these pledges to protect civilians and bring peace to Syria. Please use this simple online form to ask your local candidates for their support. You can also print the list of pledges to give to your local candidates. The international community has failed to protect civilians in Syria. The Syrian conflict is still ongoing after more than six years. We have witnessed the gassing of children; the deliberate targeting of hospitals, schools, markets, and bakeries; the starvation sieges of civilian communities; the forced displacement of entire towns; and the drowning of refugees at sea.  1. Affirm the democratic right of Syrians to choose their own future free from dictatorship and terror.  2. 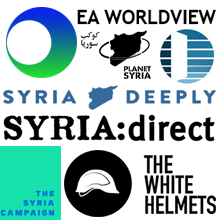 Call for the UK to track and publish details of military aircraft flights by the Assad regime and Russia that may be responsible for unlawful attacks on civilians.  3. Call for drone aid airdrops to besieged civilians to provide immediate relief and add pressure for full ground access.  4. Call for the UK to help enforce an end to attacks against civilian targets by the Assad regime and its allies.  5. Call for widened sanctions against the Assad regime and its supporters for war crimes and crimes against humanity.  6. Call for the UK to pursue all avenues to bring perpetrators of war crimes and crimes against humanity to justice, including through universal jurisdiction as well as international legal mechanisms.  7. Call for the UK to pursue a ‘Uniting for Peace’ vote in the UN General assembly recommending action to protect civilians.  8. Demand the highest standards of accountability of all our Coalition partners for air strikes taking place in Syria. Why are we calling for these pledges? The Syrian crisis began with ordinary Syrians calling for civil rights and political reform. Their protests were met with gunfire, mass arrests, torture and killing by the Assad regime. Syrian refugees fear to return as long as the regime remains in power. The Assad regime has a history of promoting terrorist groups, including Iranian and Hezbollah militias, and now uses them against its own civilians. This is why only democratic political reform can end the Syrian crisis. The UK has the technology to track Syrian and Russian aircraft carrying out attacks in violation of UN resolutions, ceasefires, or international humanitarian law. We can publish radar data on attacks, as the US did for the regime’s 4 April 2017 chemical attack, so that perpetrators can be identified and sanctioned. The UK along with other countries promised a year ago to airdrop aid to besieged civilians, but then broke that promise. Since then thousands more Syrians have been forced from their homes. Unmanned drone systems are capable of dropping food and medical aid. The US retaliation in response to the 4 April 2017 chemical attack shows that it is possible to deter the Assad regime and its allies. Non-chemical attacks are still killing many more civilians, and yet we fail to act. Force should be used if necessary and against carefully targeted military installations of the Assad regime. Any use of force should be for the sole purpose of civilian protection, should be proportional, and should comply with international humanitarian law. Sanctions should be widened by sanctioning officers of regime military allies implicated in war crimes; by designating militias implicated in systematic attacks against civilians as terrorist organisations; and by sanctioning companies such as Iranian airlines used to supply the regime with arms. The UN General Assembly has established a body to prepare prosecutions. That body needs to be supported and means to try cases need to be established. Tens of thousands have been tortured and killed in Assad’s prisons. Hundreds of thousands of civilians are believed still detained, including thousands of women and children. Releasing detainees and opening detention centres to inspection are essential measures before any political negotiation can advance. Russian vetoes in the Security Council have paralysed international action. A Uniting for Peace vote can recommend legal and legitimate international action through the UN General Assembly where Russia has no veto. 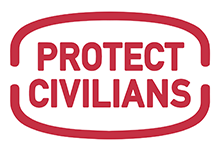 Civilian deaths from Coalition bombing have escalated drastically since December 2016, but the Coalition has only a few staff investigating casualties. The UK is co-responsible for Coalition actions and their consequences and must demand the highest standards of accountability for the entire Coalition. … it is time to draw a red line on the indiscriminate aerial bombardment of Syrian civilians by the Assad regime. I believe the best proposal to achieve this is the creation of a limited ‘no bombing zone’ which could be enforced by US, French and UK naval assets already in the region. We must insist that Syrians driven from their homes and terrified are protected. Access for humanitarian agencies to all areas is essential. The international community is guilty of a grotesque lack of action. The authority of the UN is being flouted and grossly undermined by this paralysis and failure. No expense has been spared in dropping UK high-tech missiles on the country, but it is bread, not bombs, that the people in Syria need, and it is incumbent on us to do all we can to make sure that they get it. May I ask the Minister why eight days have passed since the UN deadline, with no tangible action? Are we really asking for permission from Assad to feed the very people he has starved? Why can powers not marshal the capacity and resolve to supply the means of life, given that we have shown that we can deploy the means of death? I join my right hon. Friend in supporting no-bombing zones, as well as aid drops in memory of our former colleague and my Yorkshire neighbour, Jo Cox. We talk about non-intervention, but Syria has had intervention from Russia, from Hezbollah and from the Iranians. The international community should and could institute a no-fly zone for Syrian helicopters. It is Syrian helicopters that drop the illegal barrel bombs full of napalm, chemical weapons and high explosives. It is estimated that such a no-fly zone could reduce civilian deaths by roughly 90%. My sense . . . is that a no-bombing zone could work. We could say that every time the Assad regime and Russia committed one of these atrocities in the full of view of the international community, the coalition that is currently fighting Daesh would respond, primarily with naval assets, by targeting part of the regime’s infrastructure. No one would be bombing Russia or taking down Russian planes, but we would target that infrastructure every time they committed an atrocity. Ultimately, we must be ready to build support for multilateral military action to undercut the ability of Putin’ proxy Assad to wage war on his own citizens. The Minister asks whether there is a safer way to deliver aid, yet he knows that the Syrian regime has bombed the latest humanitarian convoy which went to the city in September. He knows that there will be no political solution while Assad and Putin think they can win the upper hand through military activity. The residents of Aleppo do not want to die and it is in our power to help them—if not now, when? While Assad has brutally torn Syria apart, the UK government has failed to provide even a minimum protection to the civilians stuck there, nor those who have fled. All humanity is ‘our own’ and we have a responsibility and a duty to act. We are not so poor as a nation, financially or morally, that we should turn our backs on what we see on distant shores, not least because it will eventually find its way to us, whether in the form of terror on our own streets or refugee families seeking sanctuary in our estates. If we as a nation will not take action, the UN will not take action and all the most powerful nations in the world will not take action, what hope did those people have and what hope do they have today? I believe humanitarian airdrops should begin immediately, and should be carried out by drones or GPS-guided parachutes. … surely the Government must finally accept that we have reached the point of last resort—that point at which the previous Foreign Secretary promised that airdrops would be used. We are deceiving ourselves in this Parliament if we believe that we have no responsibility for what has happened in Syria. Firstly, the Prime Minister should come to the House of Commons and present a strategy to protect civilian life in Syria. This means getting aid out of the UN warehouses in the region, and by opening up humanitarian corridors, or creating safe zones, or using airdrops, getting this aid effectively delivered—especially vital medical supplies. It means working out how to stop the bombing, using no-fly or no-bombing zones. Track Syria air attacks. Publish the radar data.